Greg Cohen is one of the world’s most sought after bass players, collaborating with everyone from Woody Allen, Bob Dylan and Willie Nelson to Laurie Anderson, John Zorn, and Brian Eno. He has also worked as an arranger, producer, musical director and composer for the theatre, film, television and recording studios. Randi Pontoppidan is a Danish vocalist, improviser and composer. At home in the worlds of free improvisation, jazz, performance art and contemporary classical music, she has collaborated with artists including Paul Hillier, Else Torp, Theatre of Voices, Sissel Vera Pettersen, Thomas Agergaard, Simon Toldam, Lotte Anker, Morten Søndergaard, Jamaaladeen Tacuma, Morten Søndergaard and Stuart Lynch. 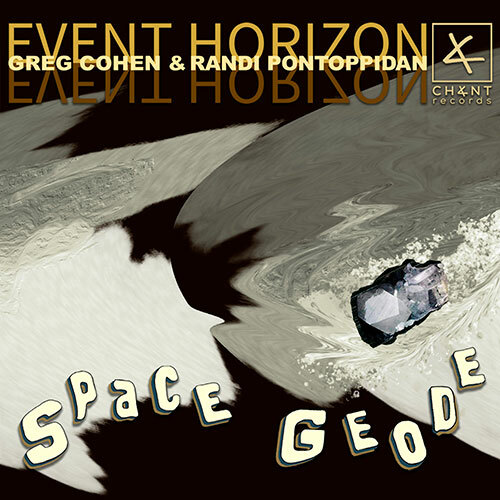 Cohen and Pontoppidan recorded ‘Space Geode’ on one November day in a dark room in Berlin called The Funkhaus, once the headquarters for East Berlin Radio.